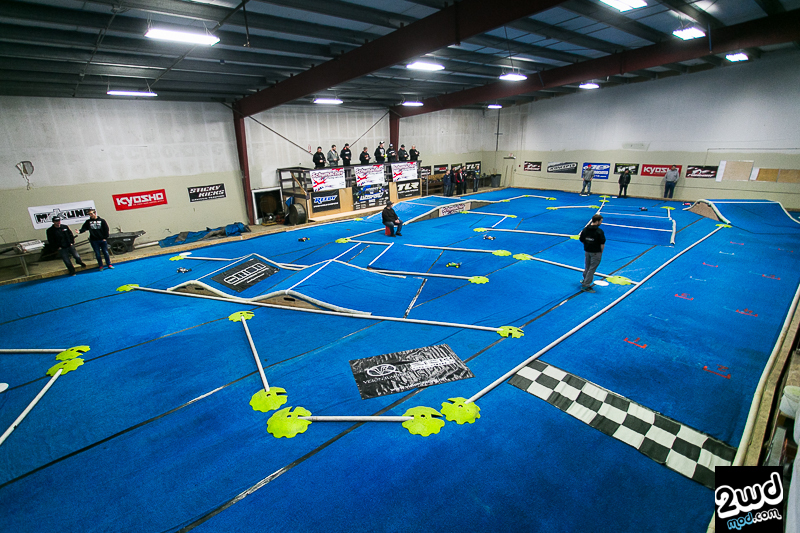 Astroturf racing is slowly becoming the standard racing surface here in the Pacific Northwest as the once beloved clay tracks have been slowly disappearing over the last couple of years. 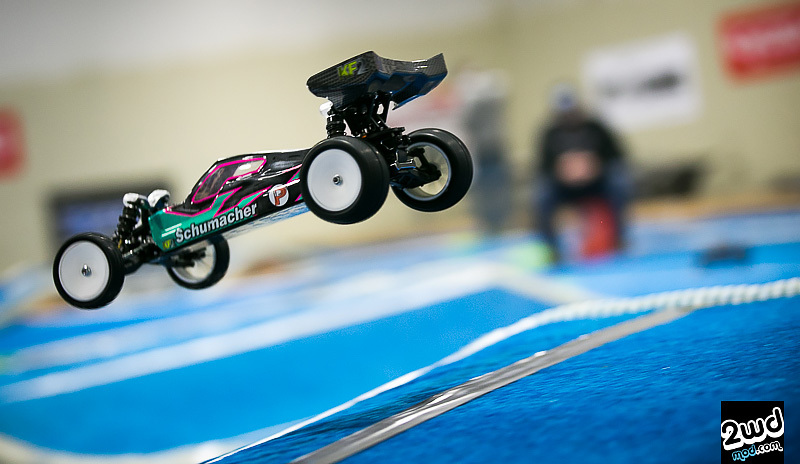 Last weekend over November 21st – 22nd, the PNW held its first big race on this new artificial surface in Albany, Oregon at NW Hobbies and drew in the fastest racers in the region. 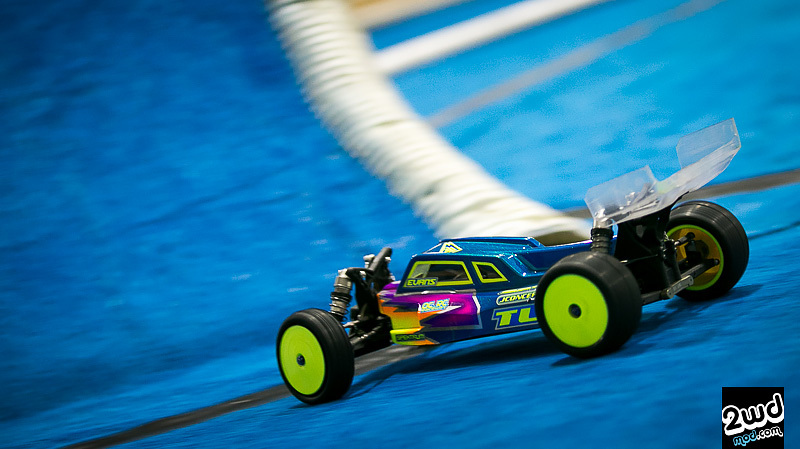 With this race’s special guest TLR/Team Orion’s Dustin Evans making the trip from Colorado with an astro edition of his new TLR 22 3.0 and joined in on the 1st ever annual NW Astro Invitational Race. Since the results were already shared to the news media sites, there’s really no point to rehash what has already been done. 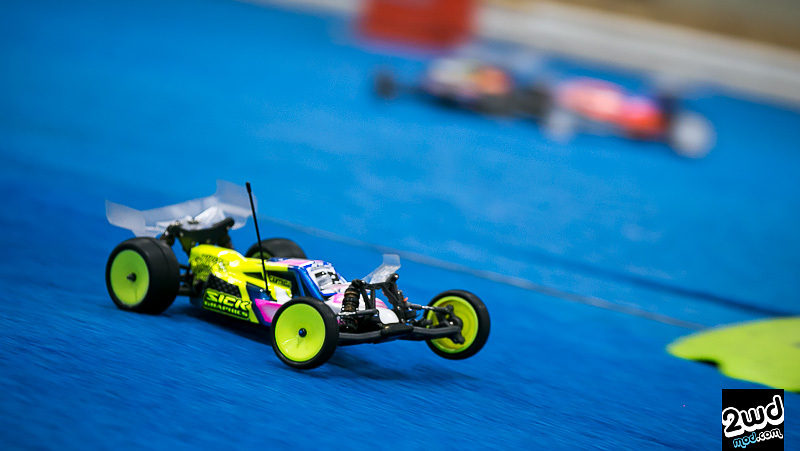 Therefore, I’m going to talk about the racing experience at NW Hobbies and what it was like to race on what some are considering to be the future of indoor off-road racing. 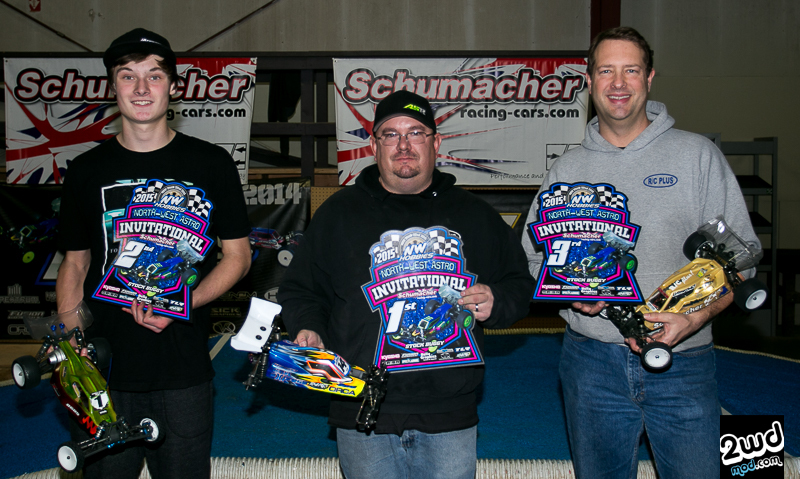 But first, congrats to the winners and thank you to all the participants who came out for this race as it was an amazing race weekend that felt like racing with family and friends. 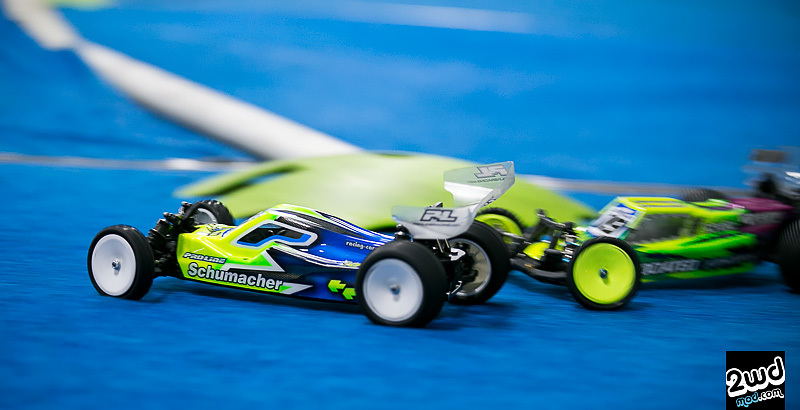 Also huge thanks to Casey Vitale of NW Hobbies and Kyosho/Orion’s team manager Joe Pillars, for putting together this race for everyone to enjoy. 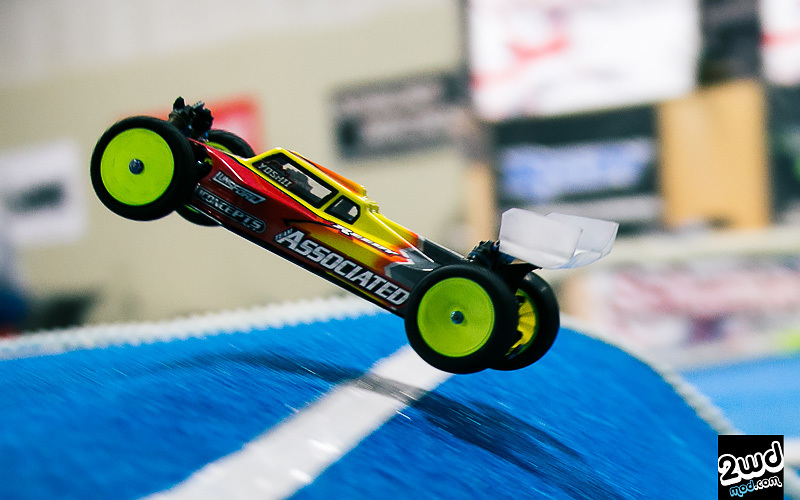 If you are in the area and haven’t had a chance to check out NW Hobbies, please stop and check it out and see what the hype is all about. 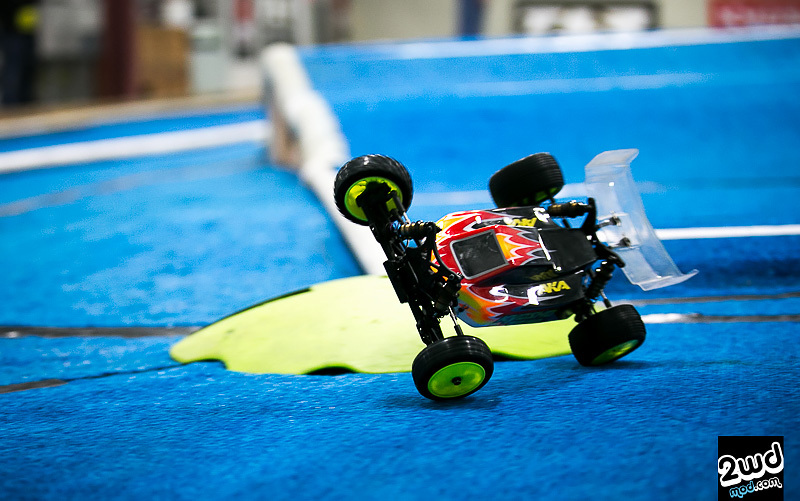 There’s been no surprise that the off-road RC racing scene has been slowly evolving into a more European style racing tracks with astro or carpet surfaces starting to gain popularity. It is true, I am a die hard dirt fan and will always love dirt tracks, but the appeal of astro is starting to make a lot of sense. Just to name a few benefits of running on astro …. 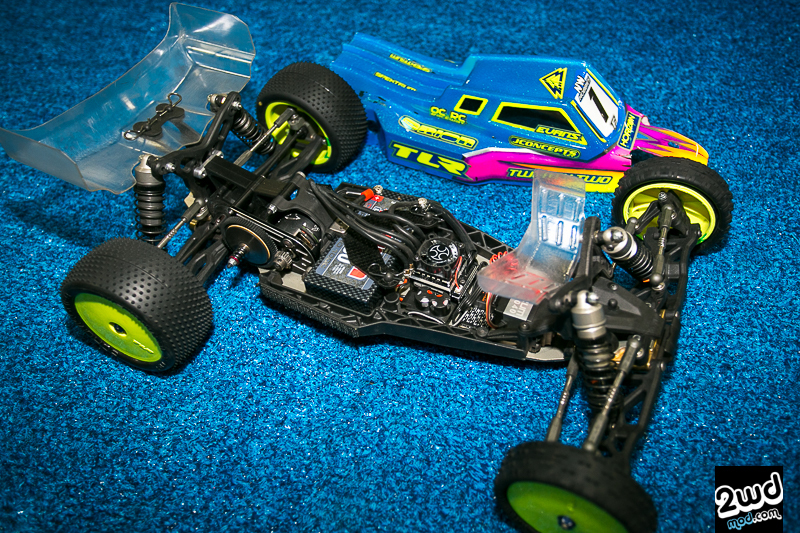 It’s significantly cheaper to do track changes, the grip is consistent, the grip is high but full slick crazy, it’s also very clean and low maintenance are just to name a few. 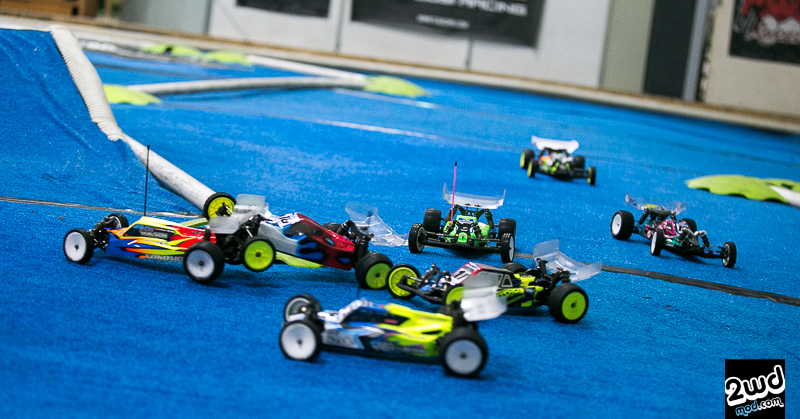 Racing at NW Hobbies this past weekend, I really got to experience all of those benefits first hand. The track was consistent from morning to evening. My cars were super clean all weekend and the grip was awesome. The tire wear was acceptable, but more importantly… it was predictable. You’re probably thinking, then what are some of the negatives of astro?? And yes…. there’s a few negative points as well. For example, since its a completely different surface, you actually need a specific car that is specifically designed for the higher grip. 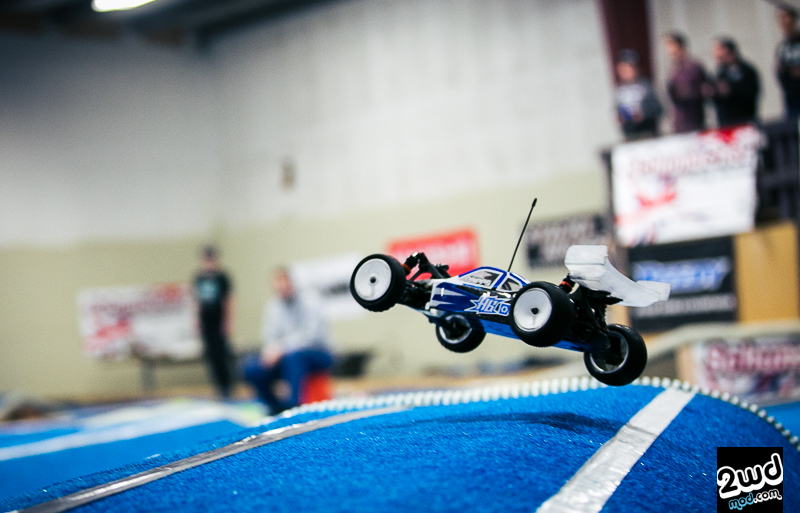 On top of having a new style car, you really need to know how to setup your car since the setup is quite different from the standard dirt setup in order to extract all the performance from you and your car. Huge hint… move your weight forward. This allows the car to free up the rear end for rotation while keeping the front end heavier so when you exit corners, the car isn’t losing steering on power by lifting weight off the front tires. One of the best things about astro is how fantastic it is to make setup changes and immediately feel the effects. I could go test and feel the changes that I made immediately within a few turns or laps. I can pull the car off, make quick changes and once again feel the differences immediately. Why? The surface is always the same. If you think about it, the track doesn’t dry out. It doesn’t need sweeping or watering or even misting. Without those variable changes in track surface, your lap times will be more accurate across the board all day and every run! In short, astroturf is a tester’s paradise! As for racing on astro, there’s a lot to like, but it is still not dirt or clay and I feel it can never replace the sensation of grip and slide that driving on dirt gives you. 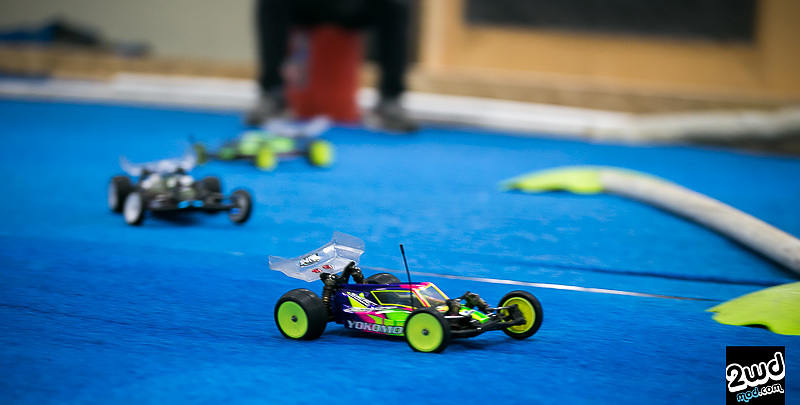 Because of the higher bite levels, it does make it harder to race nose to tail with your competitors since everything is happening faster and the drive is much more aggressive on the throttle. 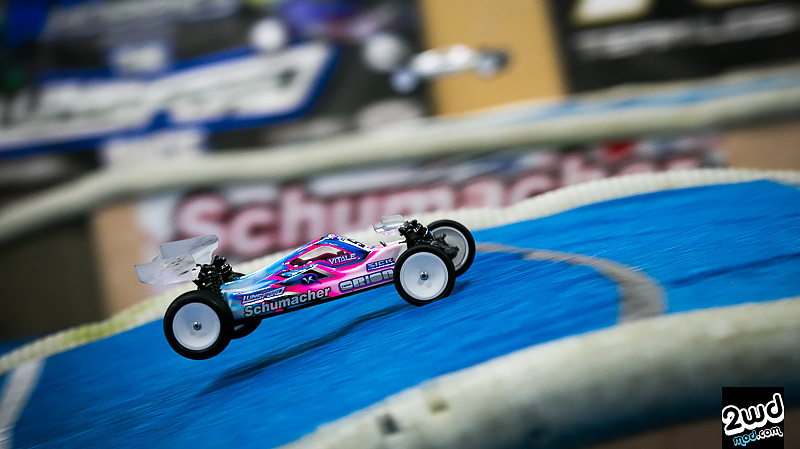 It is easy to miss your braking point or adjust to other racer’s lines and ability since setup determines how much speed you can carry in corners and how hard you can drive out of them. But with more practice and opportunities to run on astro, I think after a while we will adjust our driving styles and have even more spectacular races in the future. 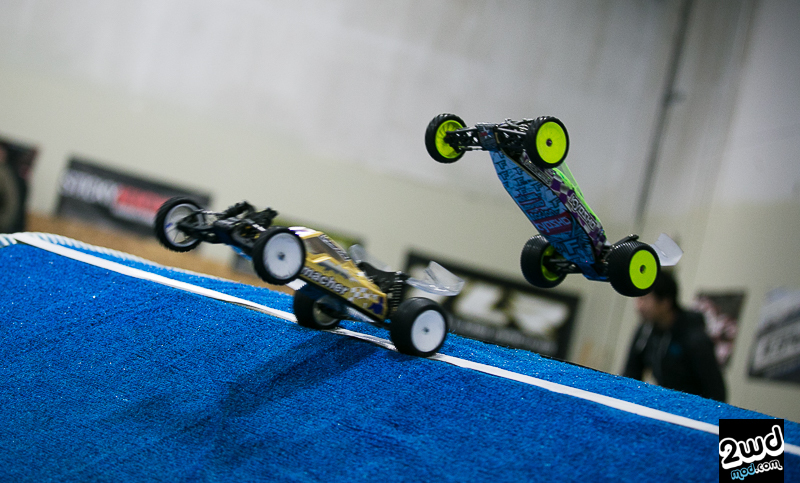 The 2015 Worlds in Japan proved that the racing can be just as exciting and intense as dirt. 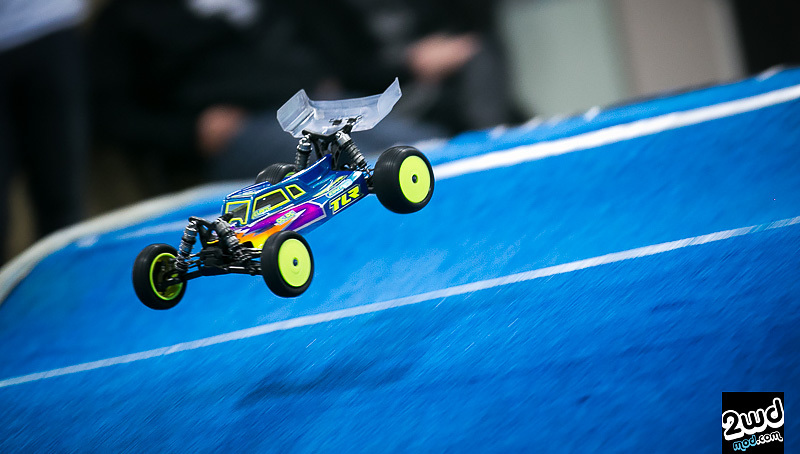 At present time, many racers are still on the fence about astro, but not for the reasons for racing rather for the fact that it is plain and simple…. it’s not dirt. If you can get past the idea that it isn’t dirt, astro can open a whole new kind of racing that can benefit the industry as a whole. The real question is whether or not astro will entice new racers around the US and turn them into die-hard race fans for life. Only time will tell. 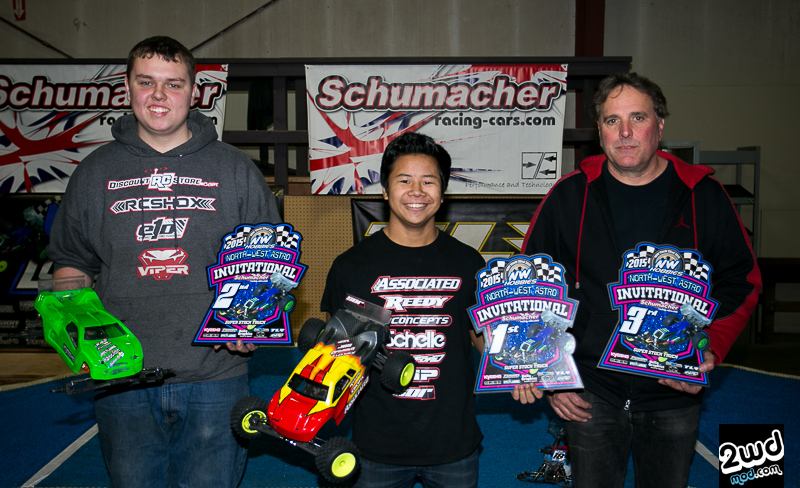 Tags: 2015, 22, 2wdmod, 3.0, associated, astro, casey vitale, dustin evans, joe pillars, kyosho, laydown, NW Hobbies, NW invitational, RB6, tanner day, tlr. Bookmark the permalink.